At The Eleanor Nursing Care Center we provide rehabilitative services for both short-term sub-acute care and long-term residents. 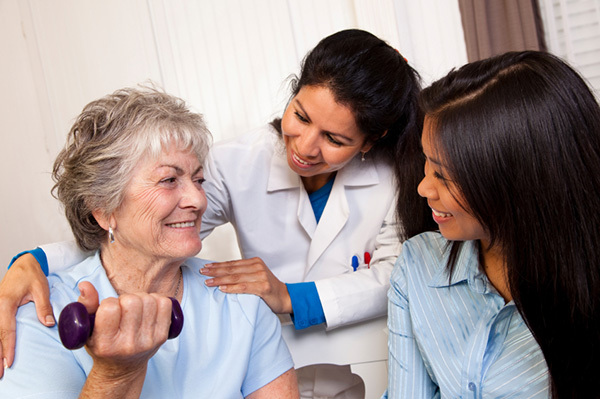 Our specialized team of Physical, Occupational & Speech Therapists provide individual services to each resident. Our goal is for our residents to reach their optimum level of functioning through individualized care plans and 1:1 therapy.